Jenny Steel is a well-known author on wildlife gardening. Her site provides concise and helpful information. Not an on-line forum but a charity dedicated to furthering wildlife-friendly gardening. Their extensive website aims to provide a high quality evidence base for wildlife-friendly gardening. The Forum holds one-day conferences twice a year where organisations and individuals share information and take part in discussion. It also circulates a twice yearly e-newsletter to members, as well as summaries of conference proceedings. Membership is free. Not just about birds, this is also one of the UK’s leading sites about gardens and wildlife. This section of the Wildlife Trusts' website gives links to case studies, factsheets, and a list of 5 actions you can do to support pollinators. It is based on DEFRA's National Pollinator Strategy. iSpot is a site aimed at helping anyone identify anything in nature. Website of the UK's national moth and butterfly conservation organisation. Includes a section on gardening for butterflies and moths. The defintive on-line identification guide to the moths of Britain and Ireland, with over a thousand pictures. 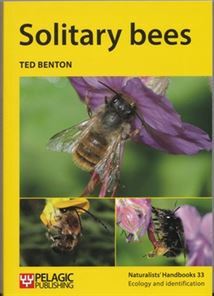 Includes advice about creating bumblebee nests, and the Beewatch Scheme through which you can submit digital photos for ID. Through this site you can access distribution maps for wild bees and images of wild bees. A conservation charity for wild bees, ant and wasps producing useful Information Sheets for gardeners. Nurturing Nature George Pilkington's site contains useful articles, information and vidoes about solitary bees and bee houses: click on the 'articles' menu item and you will find lists of topics down both sides of the page. If you live in Northern Ireland or The Republic of Ireland the Irish Pollinator initiative website has species lists and ID help as well as links to data recording schemes for Ireland. Go to Citizen Science for more links relating specifically to wildlife recording that you can do at home.